We offer a free one-hour meeting to help you decide if our services can help you! We specialize in the following areas related to QuickBooks: Company Startup, File Clean Up, Bookkeeping, and Consulting. Call and see why it is important to use a local CPA as your trusted Kansas City ProAdvisor. 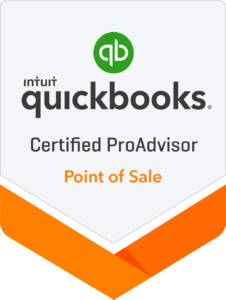 We are here to help train you or your team with QuickBooks. Our training program is tailored to fit the needs of each business. A typical training session will first include a discussion of your training goals. Next, there will be a training meeting. Lastly, a summary will be provided outlining the training session and items addressed. When creating a new company file use the setup wizard to guide you. Use the sample companies provided as a guinea pig. Once you become familiar with the software go to each personal and company preference to tailor as needed. Setup items correctly the first time. Use batch entry and batch add function if a lot of data entry is necessary. Make sure to recorded sales tax payments, payroll liability payments, accounts receivable and accounts payable transactions correctly. Set the company file to backup automatically. Whenever possible reconcile each balance sheet account. Use the closing date feature to prevent changes to a prior period. Use prefill setting to speed up data entry. Choosing the right software is an important decision and that’s why we are here to help. See our brief descriptions below to help you choose the software that’s best for you; Or, for an even greater in-depth comparison, visit the Intuit Product Comparison page. Interested in more information or a free consultation? Fill out the form below and we will contact you shortly. The Advanced Online software is ideal for companies on the go. Start up costs are minimal since the billing is monthly. Intuit hosting ensures automatic backups and supports up to 5 users. 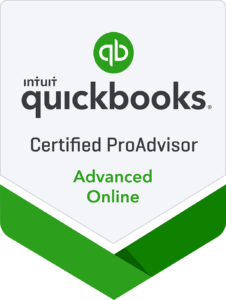 We can help if you are new to QuickBooks Online. 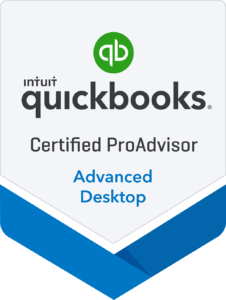 We can also help if you are looking to convert your QuickBooks Desktop file to QuickBooks Online. Available standard desktop versions are Premier, Pro and Industry Specific. They support 3 to 5 users depending on the desktop version. The desktop product is ideal for the user just starting a company. Desktop and all versions of QuickBooks are able to process credit cards directly through the software. This software is usually used for medium to large companies and ideal for companies with multiple users. It supports up to 30 users. Generally, Enterprise is purchased by companies with a large amount of data and gives users advanced reporting options that are not available to standard desktop software. This software is ideal for retail settings. With single or multiple locations, the Point of Sale software can be setup in a couple of different network configurations. The most common are single or multiple terminals that feed to a network computer. This computer is typically the server. The terminal computer can also be used as the financial center, eliminating the need for a separate server. Our firm can help solve most of the software errors you encounter. Saving you the difficulty of having to contact Intuit for help. Error 6000-77. Occurs when you attempt to open the file. One of the solutions to fix this is to download the QuickBooks file doctor and run on the company file. Error 6000-80. Can occur in a multi-user environment. Ensure that all users have updated to the latest release. Error 6000-83. Occurs when you attempt to open or restore company file. One of the solutions to fix this error is to ensure the correct permission on your computer, and the network is hosted. These are just some of the common errors. Our firm would love the chance to sit down and discuss any problems you have and to help you find the right solution. TIP: Do not forget to make a backup file before correcting any errors. Contact us today for QuickBooks consultations, problem-solving, or file set up! Call or email us at 816-429-5952 or Shawn@wta.tax.